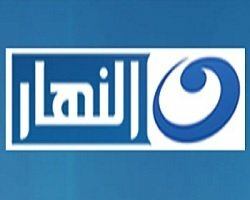 Entertainment TV Channel / Al-Nahar TV is a general interest television service from Egypt. Programming includes talk shows, political discussions, dramas, movies, mini-series, game shows and reality series. Al-Nahar is an Egyptian, general entertainment, free-to-air TV channel broadcasting from Cairo, Egypt. The essence of the channel is to play a constructive role in Egypt's society by presenting all the challenges, potentials and opportunities in the post-revolution era. The channel' s core objective is to widen understandings, bridge gaps, and allow the viewer to form his/her opinion through presenting the full picture, conveying all points of views, and discussing all possibilities. Al-Nahar started its live broadcast on June 30, 2011. Currently, most of the shows on-air are skewed towards analyzing the political, economic and social events.